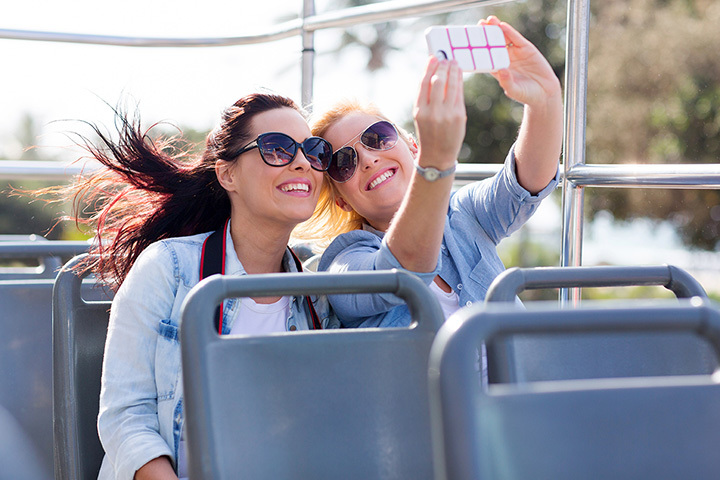 The 10 Best Sightseeing Tours in Illinois! In a state so rich with culture and history, Illinois makes for some wonderful sightseeing. With its diverse landscape, from the skyscrapers of Chicago to the beautiful rock formations of Southern Illinois, the opportunities for fascinating tours are endless. Here are the 10 best sightseeing tours in Illinois. Awarded the most popular tour in the country by TripAdvisor, the Architecture River Tour with Shoreline Sightseeing should be on your to-do list when visiting Chicago. This relaxing and enlightening boat tour provides insight on Chicago’s rich architectural history while offering outstanding views of the city’s skyline. This tour is ideal for people who are fascinated by Chicago’s iconic buildings. For the most spectacular views of the forest, check out Long Hollow Canopy Tours. Located within the serene Tapley Woods, this incredible attraction allows visitors to glide through the trees from 75-feet up in the air. Experience six difference zip lines and even cross a 140-foot bridge. This sightseeing tour is one you’ll never forget. This two-day riverboat tour is unlike anything in the state. River Cruises provides spectacular views of the Mississippi River from an actual old-time riverboat. This elegant river tour is perfect for special occasions such as anniversaries, birthdays, honeymoons, and more. It’s a glimpse into the past and makes an unforgettable sightseeing tour. Learn the various architectural styles of historic downtown Springfield in this free walking tour. Open to the public, this one-hour tour begins near the Old State Capitol Historic Site and passes by various historic sites including Abraham Lincoln Presidential Library & Museum, Bressmer Building, and Springfield Union Station. The tour typically ends with complimentary food from the Brewhaus Bar. If you love having fun and want a unique tourism experience, look no further than Steve’s Segway Tours. Open year-round, this award-winning company offers several tours of the downtown Chicago area including architectural, fireworks, hauntings, and more from self-balancing human transporters known as Segways. Get close-up glimpses of Chicago’s magnificent buildings, ride along the Riverwalk, and even design your own tour if you wish. Experience the wonders of the Shawnee National Forest with Bart Lane’s Shawnee Guided Hiking Tour. Whether you’re an experienced hiker or have only dreamt of hiking along the wooded creeks, Bart and his wife are dedicated to sharing their enthusiasm for the forest with everyone. They act as your personal guides through the forest, allowing you to experience the beautiful rock formations without fear of getting lost. A bike tour is a fantastic way to experience Chicago because it’s faster than walking, yet not so fast that you miss out on all the sights, smells, and noises of the city. Bike through the city’s hotspots like Millennium Park and Buckingham Fountain, taste the popular Chicago foods, or through old Chicago gangster territory. With Chicago being such a bike-friendly city and offering many bike trails, Bobby’s Bike Hike is a great choice for any sightseeing tour. While Chicago is already beautiful during the holidays, it’s even more magical from a helicopter decorated in holiday lights and Santa as your guide. You’ll have the most stunning views of the city and see millions of lights from the city below. This holiday helicopter tour is one of the best holiday sightseeing tours in the state. Galena is a quaint town nestled within the hills and valleys of northwestern Illinois. The Galena Trolley Tour has been providing beautiful views of this historic town since 1988. These tours offer both historical and architectural narration, great photo opportunities, and evening entertainment at the Depot Theater. The tours are year-round and kids always ride free. Experience the Chain of Lakes area from a beautiful pontoon boat with an experienced captain at the helm. This sightseeing tour is a memorable activity for both kids and adults, plus it’s affordable. The captain is very knowledgeable and professional, helping make the experience very safe and enjoyable.